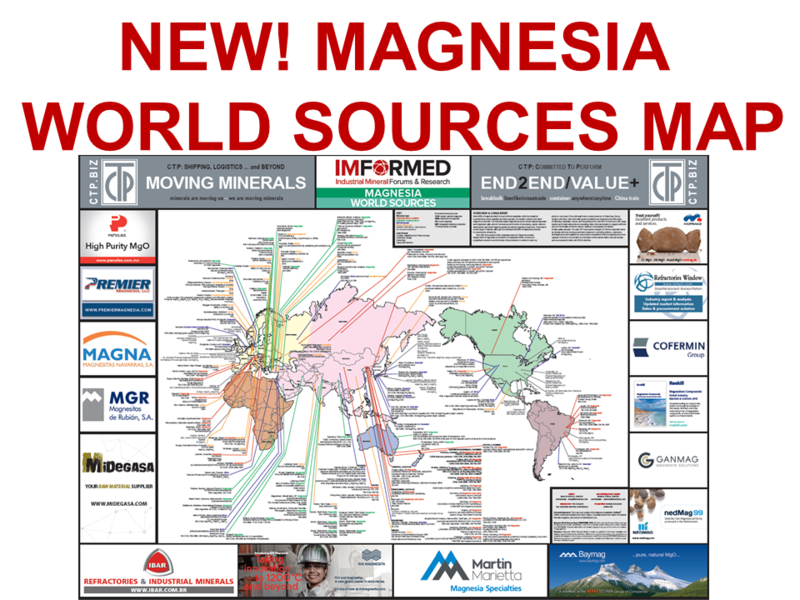 Industrial Minerals Networking | IMFORMED – Dog Days ahead for Chinese mineral consumers? Dogged by shortages and rising prices: a lone hound sniffs out some calcined bauxite at a stockyard in Tanggu; inset left CMP’s new calcination plant in Guizhou; insert right bagged bauxite awaiting export. Since the mid-1980s, China has been the world’s dominant supplier of a range of important ceramic, abrasive, and refractory minerals, such as bauxite, fused alumina, fluorspar, kaolin, graphite, magnesia, refractory clays, silicon carbide, talc, and wollastonite. All that may be about to change. The closing months of 2017 witnessed an unprecedented period in Chinese mineral trade, particularly regarding refractory and abrasive export minerals, whereby Chinese producers were struggling to reassure western (and domestic) customers that they could maintain future supplies of grades in demand as prices went through the roof. The problem, which continues into 2018, was that they could not offer much in the way of any reassurance. Even the few players in a position to continue limited supply for export markets were having a challenging time trying to fix prices into 2018 – a nightmare for western traders and consumers, whose normal practice of fixing annual forward contracts simply dissolved as 2017 wore on, few were lucky to get Q1 2018 contracts concluded. The net effect has been a significant hit on the mineral supply and consumer industries (especially refractories, ceramics, abrasives), whereby plants have been closed, primary raw material availability much reduced owing to little or no drilling and blasting at the mines, and certain suppliers lacking the correct documents, licences, and tax payments are facing business closure. The upshot has been acute shortages in supply and soaring prices for export minerals causing consternation among traders and consumers. Bauxite, fused alumina, and magnesia grades are suffering the worst by most accounts. Through January and February 2018 refractory grade brown fused alumina has been pushing through US$800/tonne FOB and abrasive grades US850/tonne FOB. Calcined bauxite 86-88% Al2O3 was ranging US$470-500+/tonne. Fused magnesia remains >US$1,000/t FOB and even some spot prices of DBM 96.5% MgO have been quoted at such levels. Chief among the cost increase factors is the switch to natural gas fired calcination by those able to do so (demanded by the authorities prior to restart). This can add an extra US$50-70/tonne to the production price, depending on access to natural gas supply, ie. gas pipeline infrastructure or use of LPG trucks. Some refractory mineral plants reopened in January 2018 having met environmental standards, but province-wide closures in Shanxi and Henan, hosting many bauxite and alumina calcination and fusion plants, had lasted until 31 December 2017. The situation there is unclear, with some fusion plants – “30%-40%” – reported to be resuming production in January 2018, but the BFA shortage is expected to last another two months at least. However, leading calcined bauxite suppliers in China are responding to the situation by expanding capacities and switching to natural gas. In Shanxi province, leading calcined bauxite producer Shanxi Fangxing Mineral Co. Ltd (SFX) is planning a major switch away from coal to natural gas and was hoping to have its natural gas-fired rotary kiln on stream by the end of 2017, although it is understood that there was a delay in start-up. SFX operates two rotary kilns in Xiaoyi, Shanxi with a combined production capacity of 200,000 tpa. 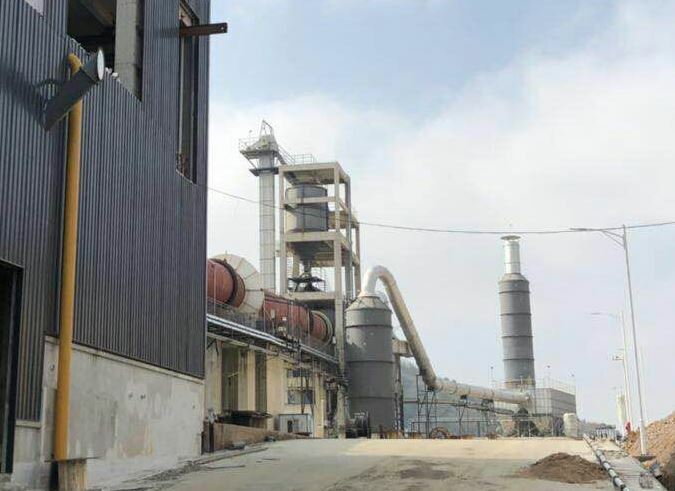 In early February 2018 China Mineral Processing Ltd, based in Tianjin, started up its new calcination plant utilising both high pressure shaft and rotary kilns located near its bauxite mine in Xiuwen, near Guiyang, Guizhou province. The Xiuwen rotary kiln is to produce 85-90% Al2O3 lump and long term output is envisaged at 8,000-10,000 tpm. The lump bauxite will be transported to CMP Tianjin in bulk for crushing and also to south China ports for export in lumps. Bosai Minerals Group Co. Ltd, based in Chongqing, is planning to bring on stream two new rotary kilns in July 2018 at its subsidiary Saite Corundum Co. in Fuling, Chongqing. The combined production capacity is expected to be 300,000 tpa calcined bauxite. 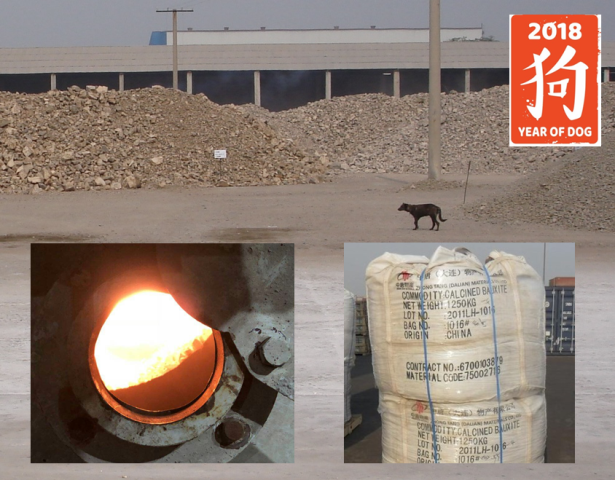 Claimed by Bosai as “the largest manufacturer of BFA across Asia”, Saite Corundum produces 200,000 tpa of BFA, comprising 140,000 tpa refractory grade BFA and 60,000 tpa abrasive grade BFA. 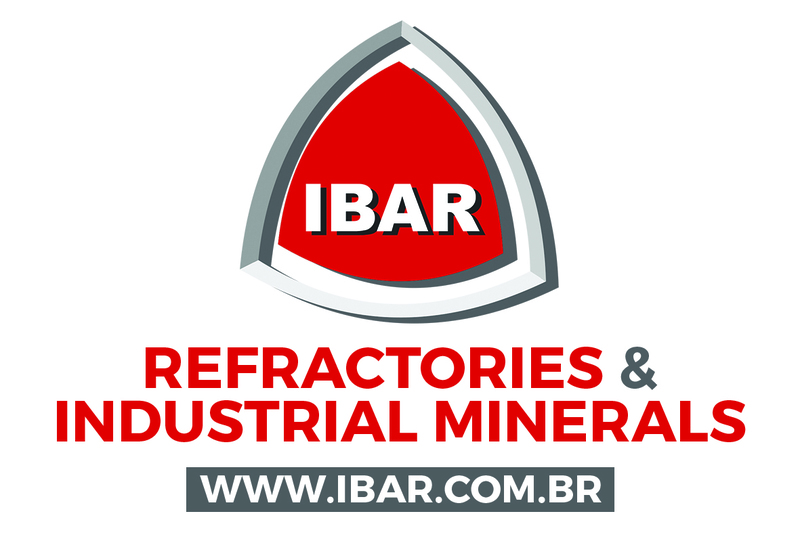 Bosai’s feedstock bauxite is supplied by subsidiary Shujiang Bauxite Co.
Bosai also owns and operates the only refractory grade producer outside China, Bosai Minerals Group (Guyana) Inc., in Guyana, with a nominal capacity of 300,000 tpa refractory grade bauxite, although output for 2017 was considered to be short of this. Thinking ahead, there is one school of thought that suggests that bauxite and BFA plants in Guizhou and Chongqing, being located in central China, may have a less interrupted operational lifetime than those in say Shanxi and Henan, which are closer to Beijing and central government supervision of emissions control around the capital. Unlike past cycles of Chinese mineral supply ups and downs which were relatively short-lived, this time it is different: the forces impacting the mineral industry are driven by the central government and appear to have long lasting intent. Another significant impact on the industry which should not be underestimated is the government action against unregistered businesses, unleashed last October (see China bauxite supply sector faces winter closures). This is already a big problem for small traders and producers who are seeing their Chinese mainland US dollar accounts permanently closed down by the Chinese state banks. Apparently, Hong Kong banks have been warned not to allow new account openings by small traders. This will have a double impact on production capacity and supply availability in that both production facilities and smuggling prospects are likely to be significantly reduced in 2018. 1 January 2018 witnessed the implementation of a new Environment Tax penalising plant emissions, a new cost input to the complex and unpredictable anatomy of Chinese mineral pricing. According to legislation passed in December by the State Council, the new environmental protection tax will adjust the tax levied from businesses depending on how much air, water, and noise pollution they emit. The applicable tax rates of taxable atmospheric and water pollutants are to be determined by the provincial governments within the above ranges. However, how this will be measured and administrated remains to be seen. Perhaps by the end of the Chinese New Year (ie. early March 2018), or maybe more realistically by mid-year, some of the dust may have settled and things could clear somewhat. However, many traders and consumers are bracing themselves for a long haul of short supply and high prices through 2018 and into 2019. According to tradition, and Greek and Roman astrology, the “dog days of summer” are connected with heat, drought, sudden thunderstorms, lethargy, fever, mad dogs, and bad luck – words that might chime, in varying interpretations, with the struggling Chinese mineral supply sector. Indeed, for western Chinese mineral consumers, the Year of the Dog may seem a most apt description for the next 12 months at least, let alone the summer. Great summary Mike. 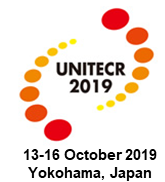 I am looking forward to attending and seeing you in Shanghai. China is still the place to understand the changing forces in the refractories and abrasives industry.